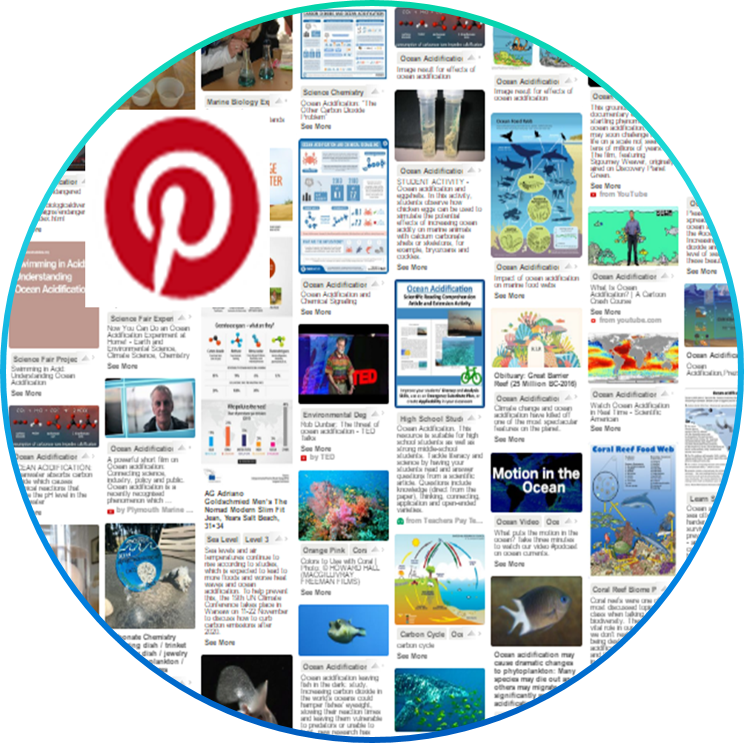 The Education & Outreach (E&O) Working Group provides a collaborative platform for ocean and coastal acidification (OCA) educators to inform each other and their community about OCA. 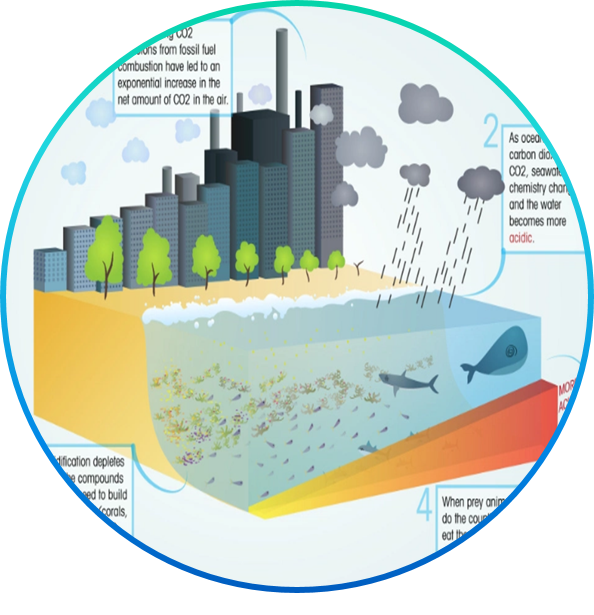 Additionally, the E&O WG provides educational resources to stakeholders by working closely with the Policy and Industry Working Groups; and in the future plans to develop resources for other stakeholder groups, such as citizen science monitoring groups. 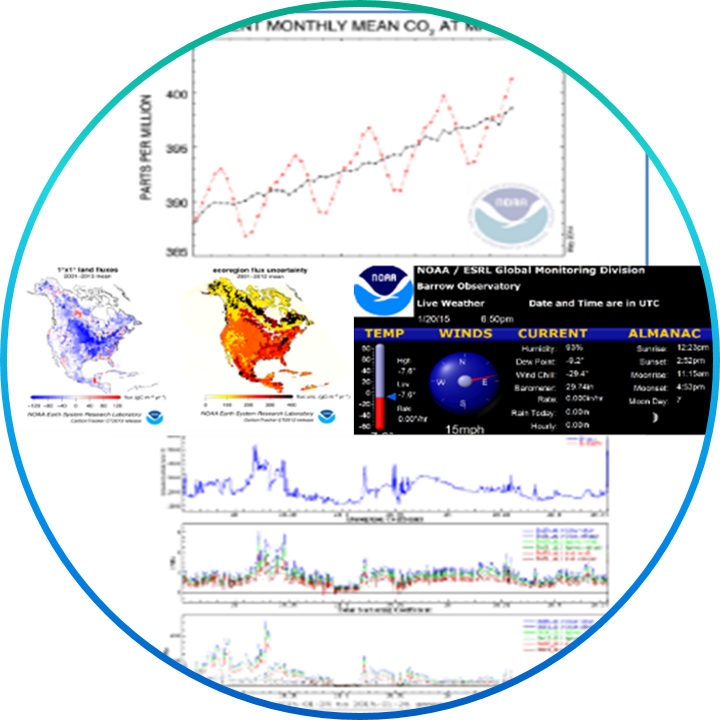 A compilation of OCA resources have been included below. 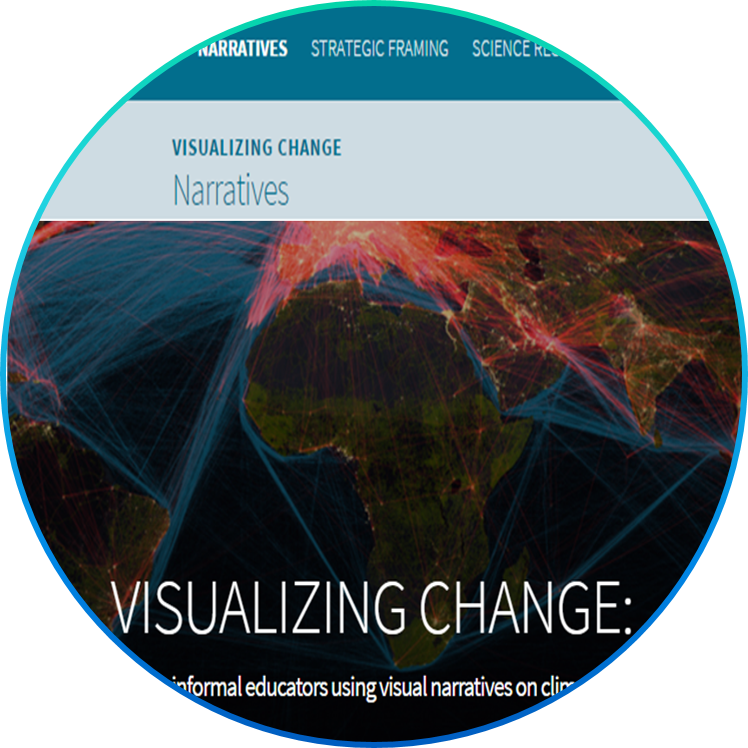 If you're interested in participating in or learning more about the E&O WG please contact the working group chair, Esperanza Stancioff, esp@maine.edu. Provides background on the chemical and physical processes behind OA to better understand the field of study and also to evaluate the commentary on the web based on misconceptions. 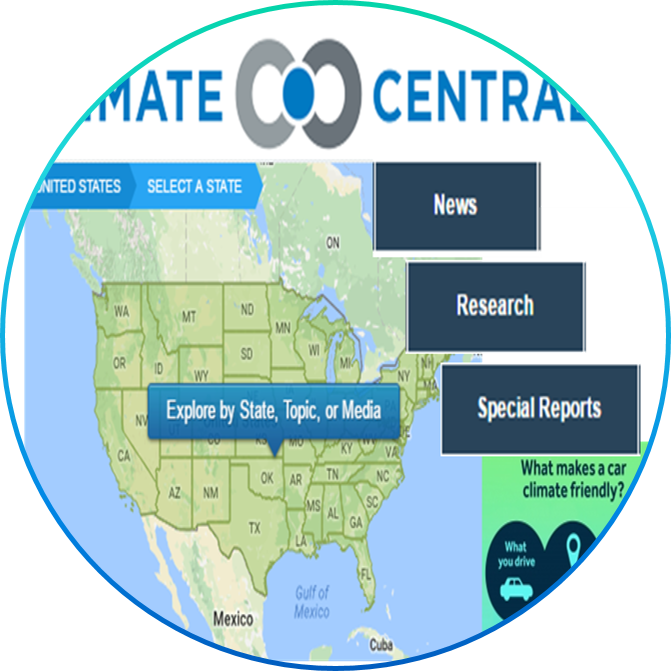 An independent organization of scientists who surveys and conducts scientific research on climate change and informs the public of key findings. 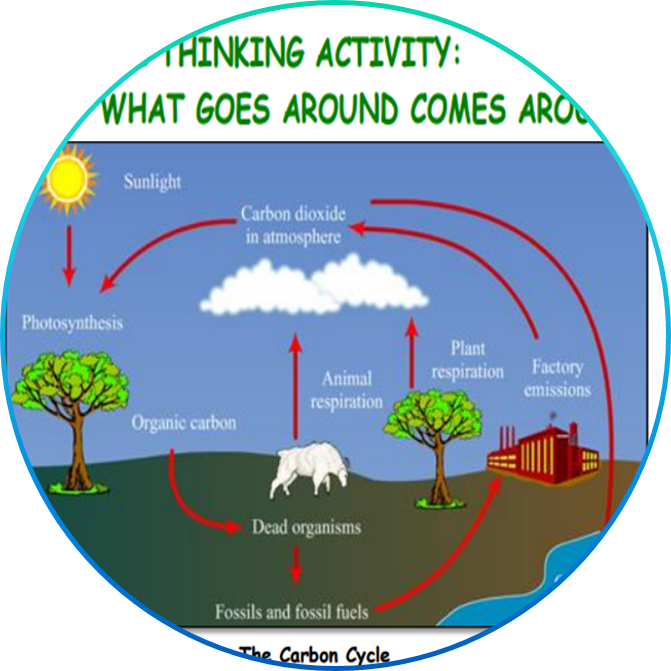 Northeast Coastal Acidification Network (NECAN) Critical Thinking Activity: What Goes Around Comes Around! 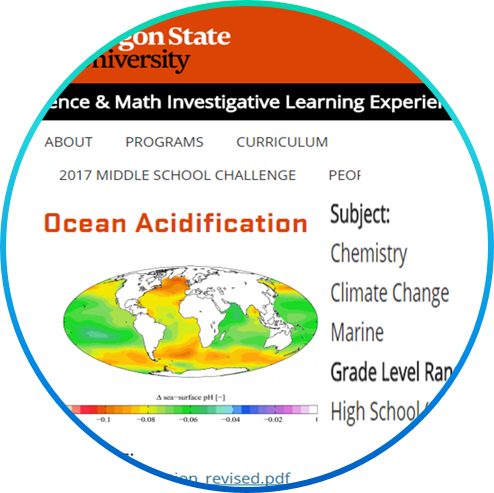 Download 21 scientifically and pedagogically reviewed digital ocean acidification resources for teaching about climate's influence on you and society and your influence on climate. 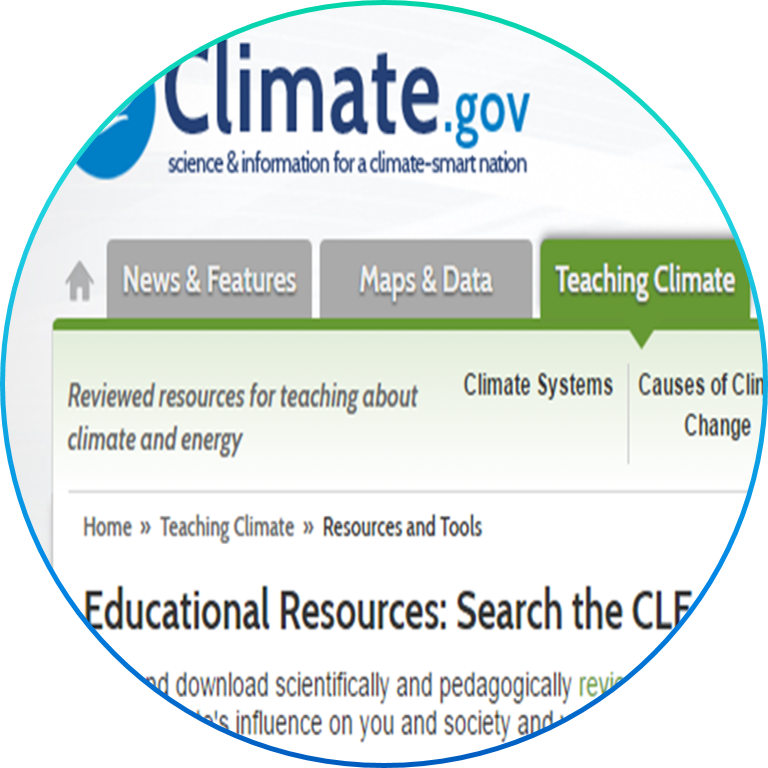 These materials are part of a collaborative effort to expand the resources and training available to informal science educators to translate climate science for the American public. 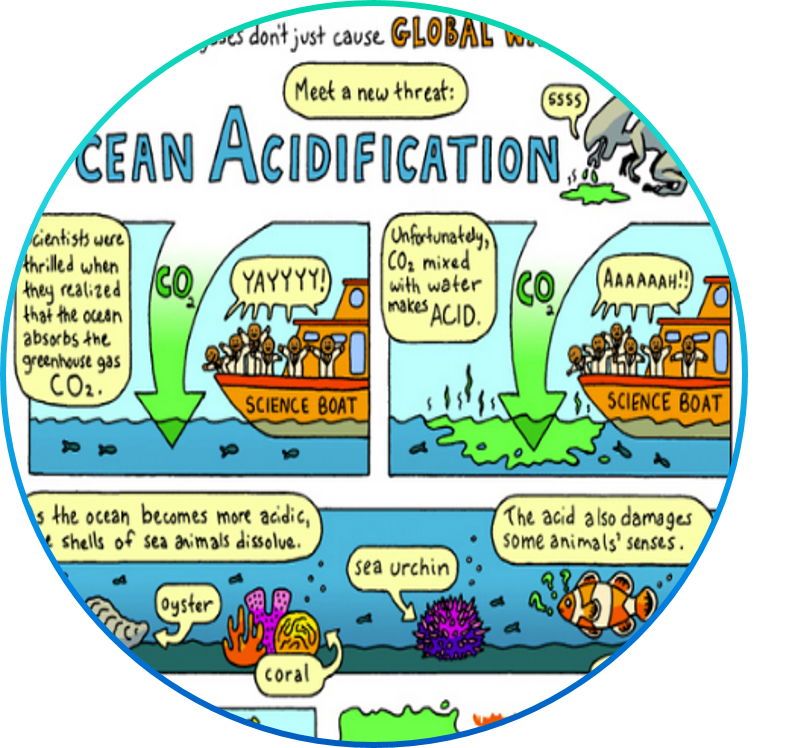 Ocean Acidification: The resources in this toolkit will allow communicators to effectively communicate ocean acidification using strategically framed visuals and narratives. 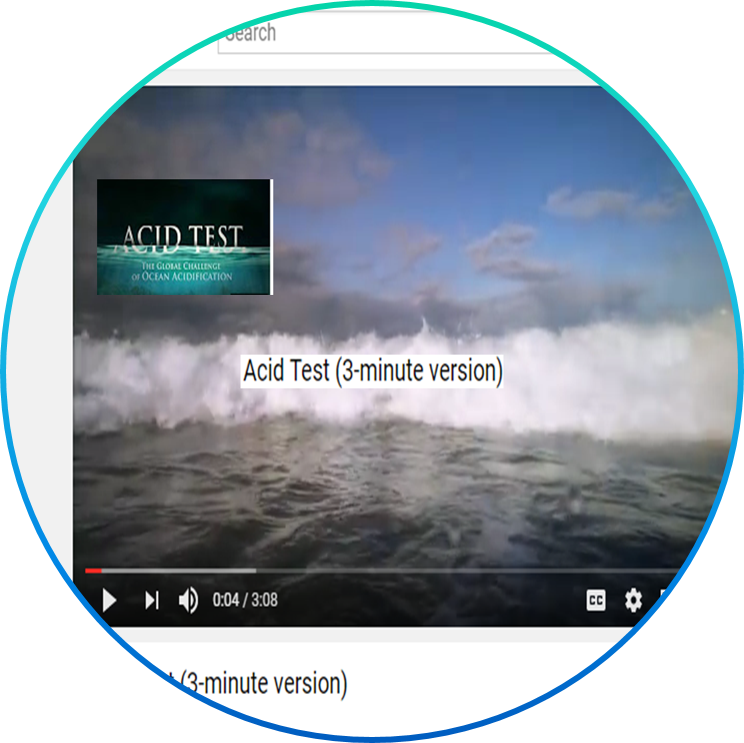 Watch the video to see it in action! 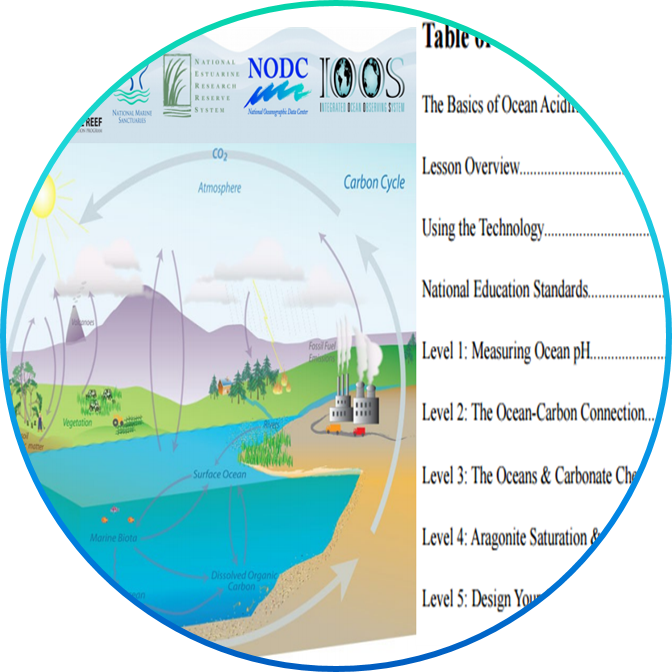 This curriculum module was developed for the NOAA Ocean Data Education (NODE) Project by Caroline Joyce, Todd Viola and Andrew Amster in collaboration with the NOAA Coral Reef Conservation Program (http://coralreef.noaa.gov) and the National Oceanographic Data Center. This project has been made possible with support of the National Marine Sanctuary Foundation. Scientific and technical advice was provided by Dr. Joseph Salisbury, Assistant Research Professor at the University of New Hampshire. 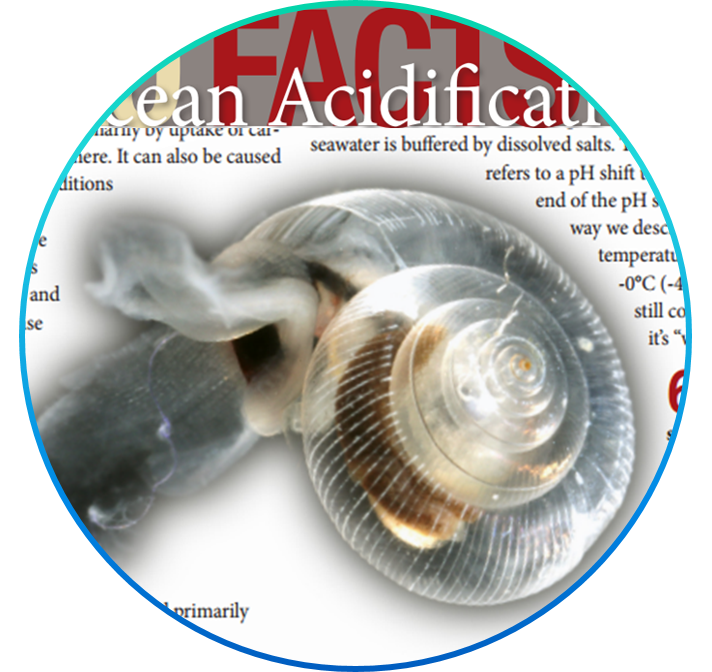 Ocean Acidification (Grades 6-12) with lesson plans, activities, etc. Can also request a kit with resources for the activities. 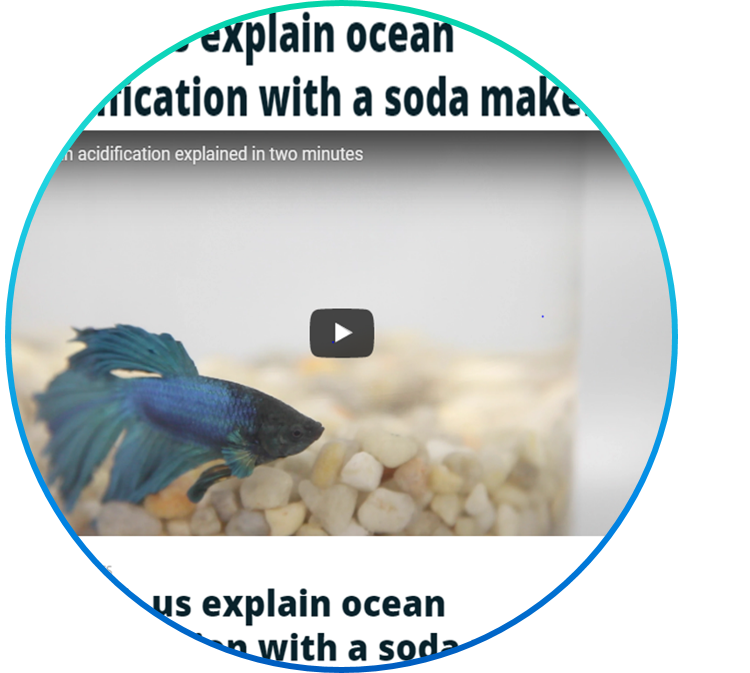 Video (soda stream and Lil Dipper). Used to educate policy makers on Capitol Hill. 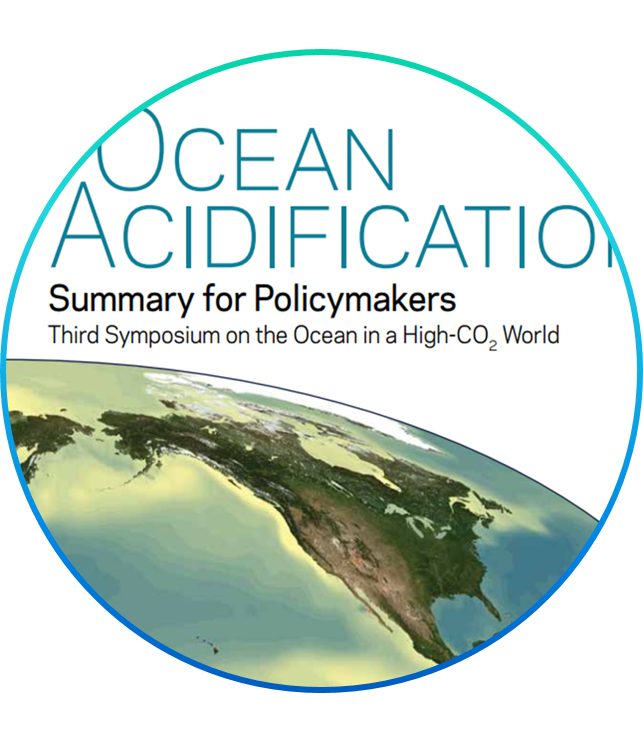 Third symposium on the ocean in a high CO2 world (22 pgs). NOAA Pacific Marine Environmental Laboratory. Bird and Moon Science and Nature Cartoons. 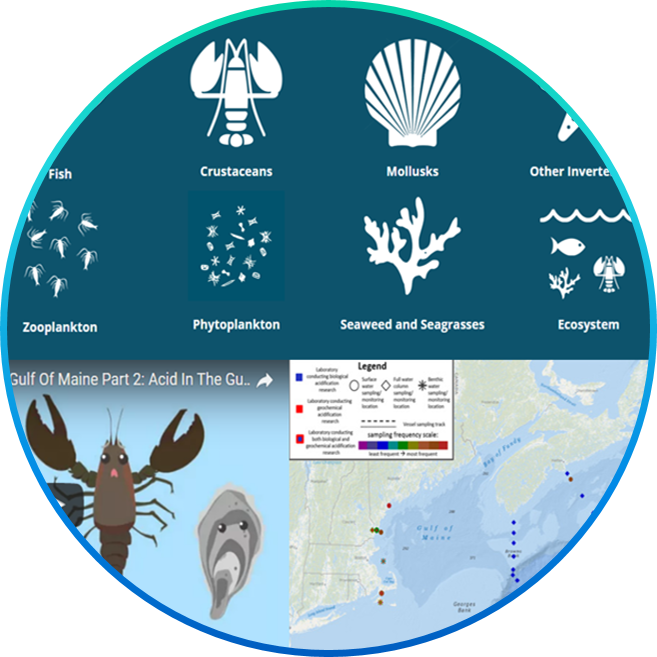 Produced by O’Chang Studios, content developed and funded by Maine Sea Grant, Dalhousie University, MEOPAR (Marine Environmental Observation Prediction and Response Network), NERACOOS (The Northeastern Regional Association of Coastal Ocean Observing Systems) and NECAN (Northeast Coastal Acidification Network). 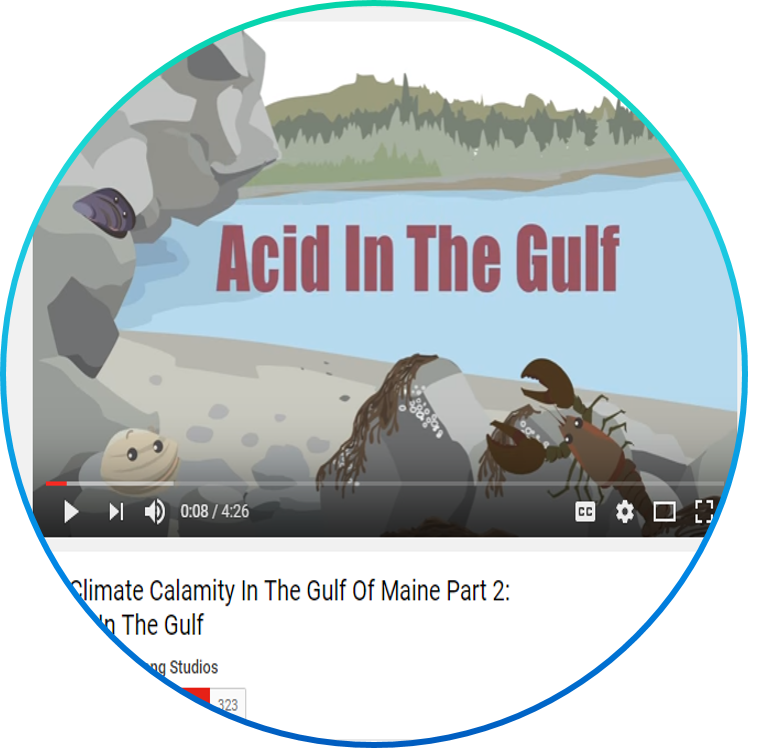 Clay animation about the potentially disastrous rise in ocean acidity. 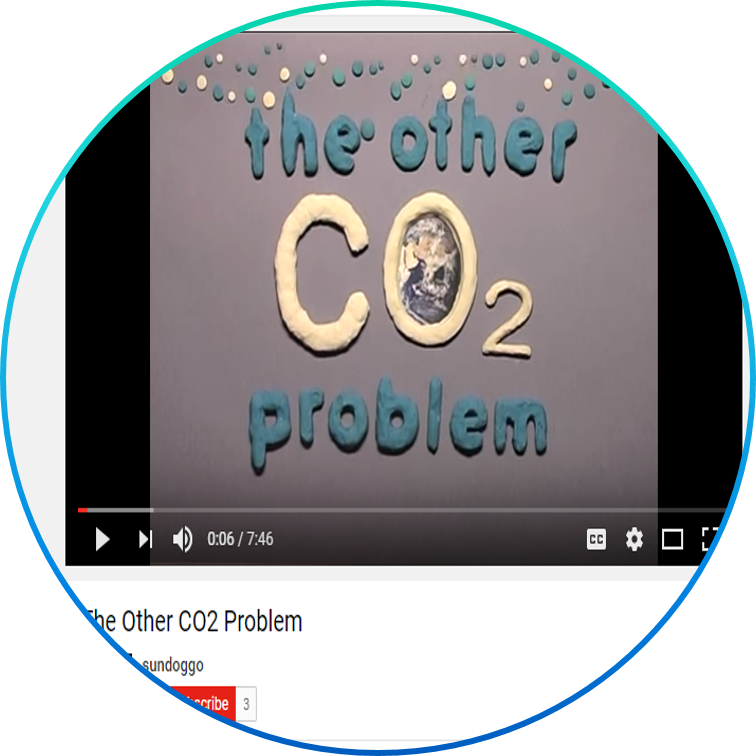 Created by pupils from Ridgeway School Plymouth, Sundog Media, and Dr Carol Turley of Plymouth Marine Laboratory. 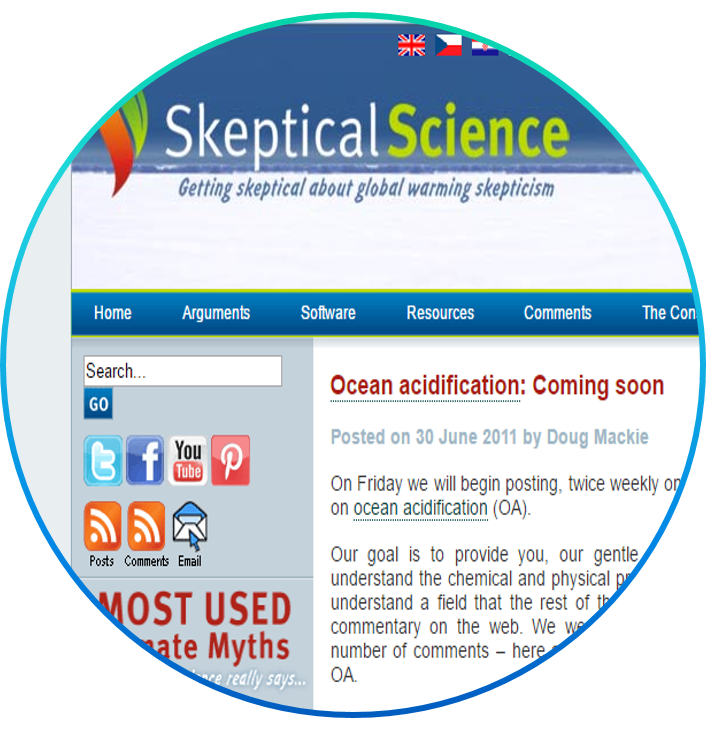 Commissioned by EPOCA [European Project on Ocean Acidification]; supported by UCP Marjon, and National Marine Aquarium. 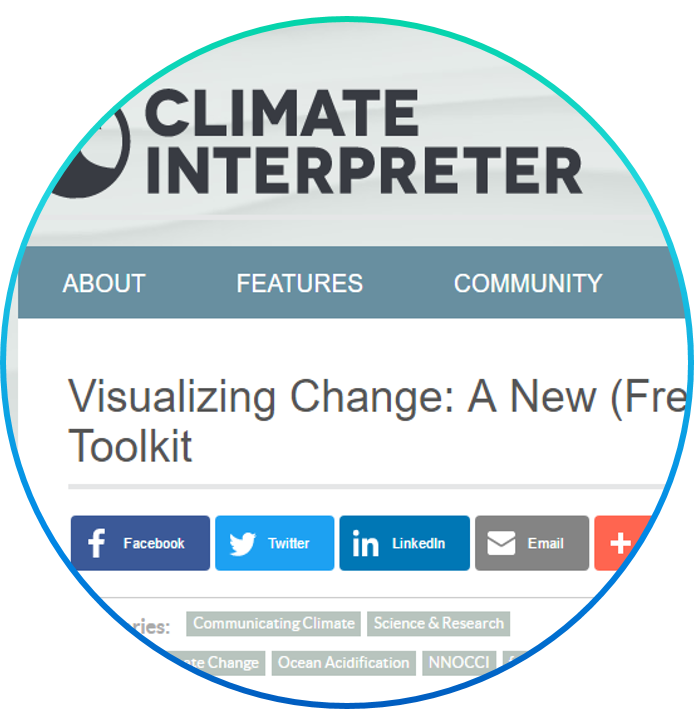 Learn about how climate change is impacting our oceans. 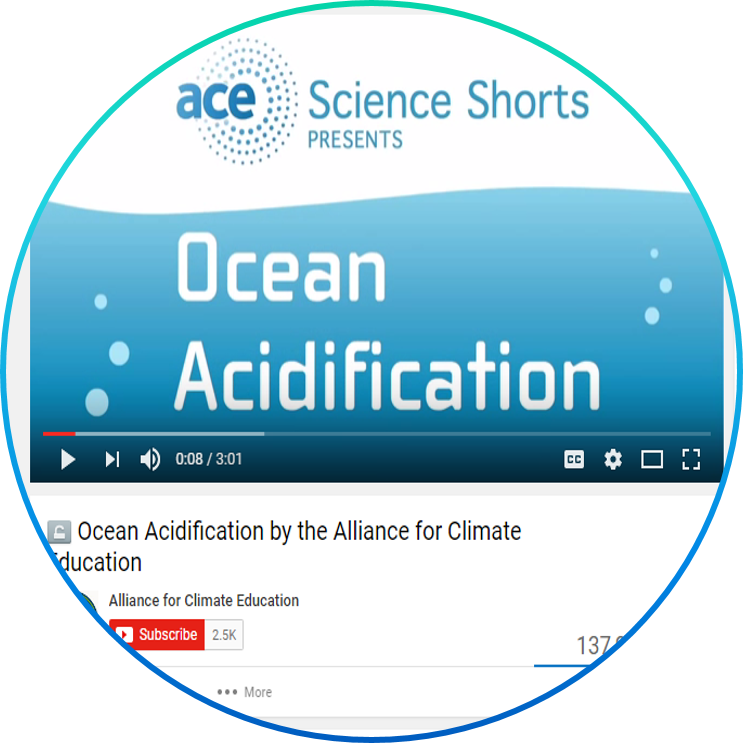 The Alliance for Climate Education is the nation's leader in climate science education and we're excited to present this short on ocean acidification. For more about ACE, visit us at http://acespace.org. California Academy of Sciences. 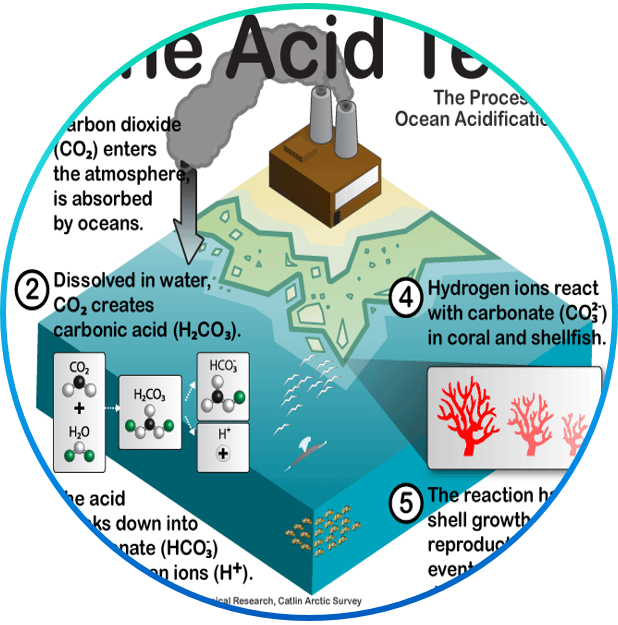 Why are the oceans becoming more acidic and how does that threaten biodiversity? 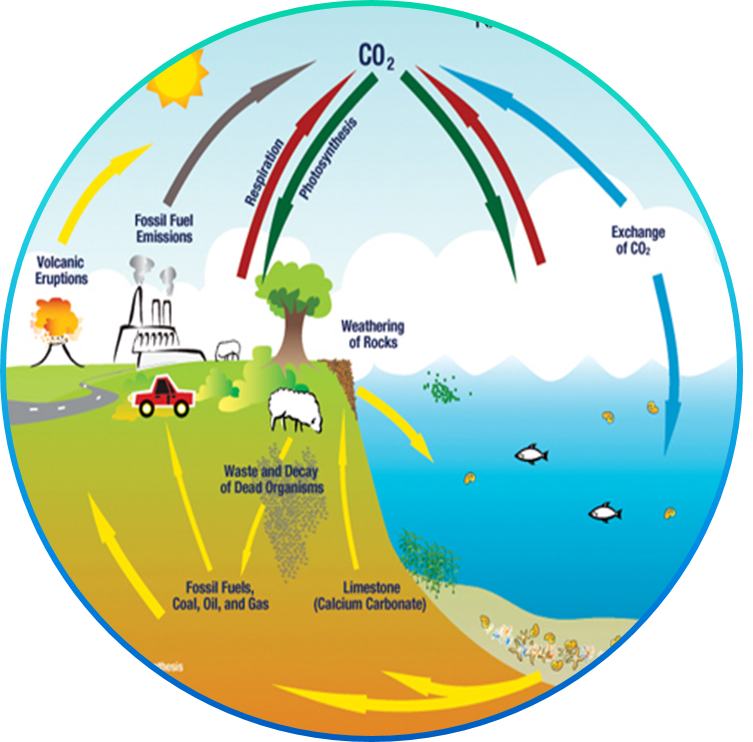 Human activities produce excessive carbon dioxide and much of it is absorbed by the oceans, where it is converted to an acid. Natural Resources Defense Council. 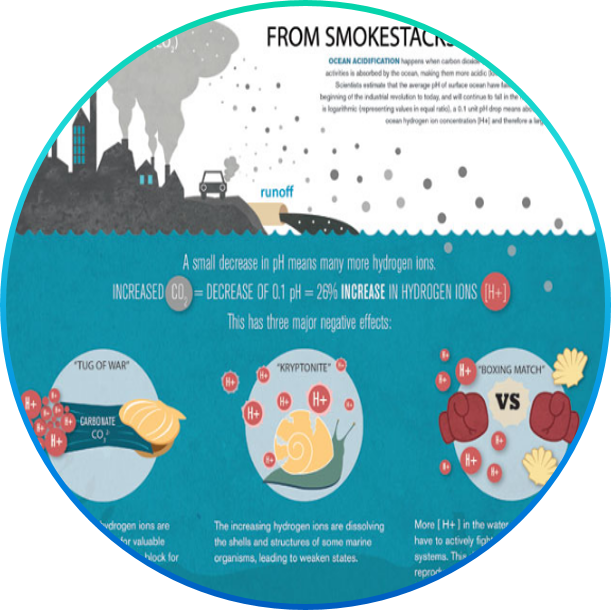 This groundbreaking NRDC documentary explores the startling phenomenon of ocean acidification, which may soon challenge marine life on a scale not seen for tens of millions of years. The film, featuring Sigourney Weaver, originally aired on Discovery Planet Green. 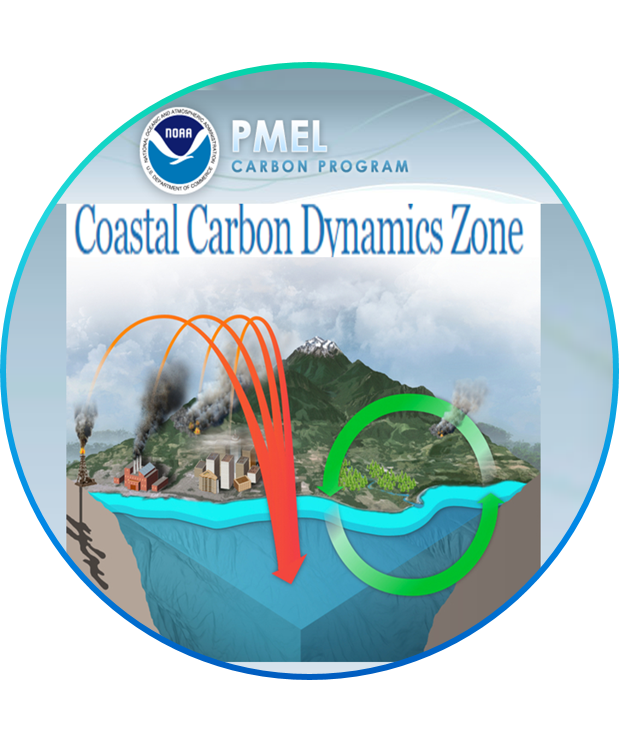 This webinar series provides ocean acidification communication tools to formal & informal educators, and stakeholders across the country. 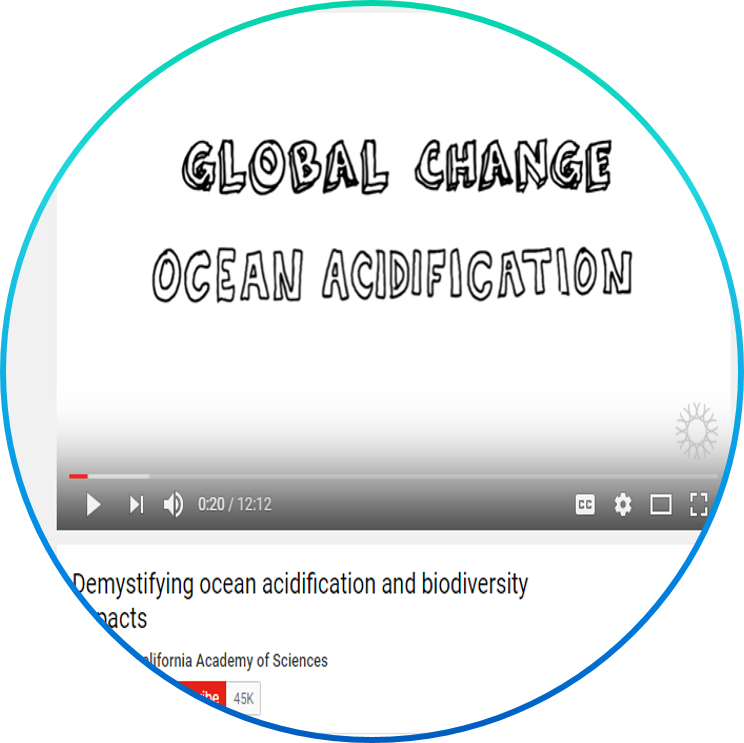 One of its primary goals, is to promote a more integrated and effective ocean acidification education community by sharing ocean acidification education and communication activities virtually. 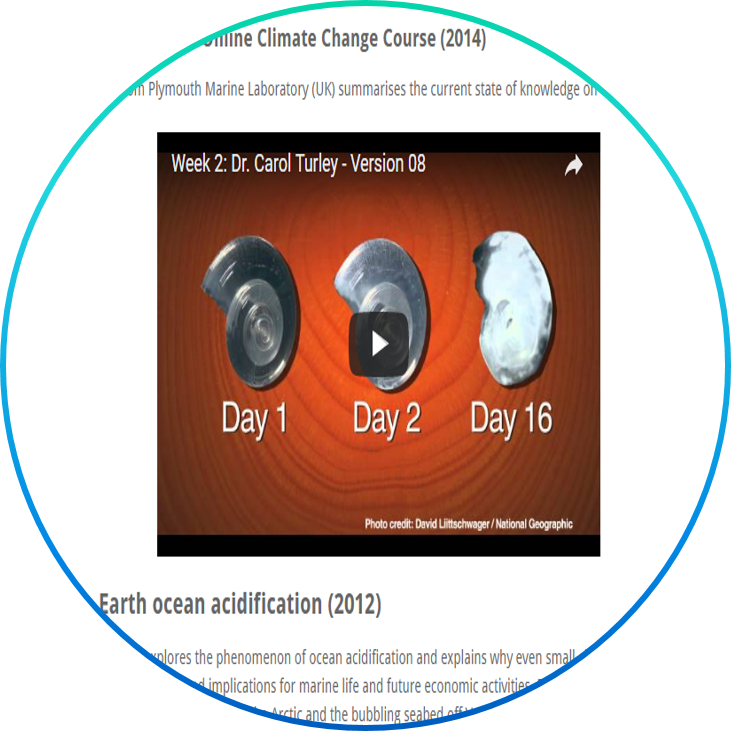 With awareness of and access to these resources, the ocean acidification education and communication community will be able to utilize and continue to create cutting edge communication tools that incorporate current scientific and communication research. 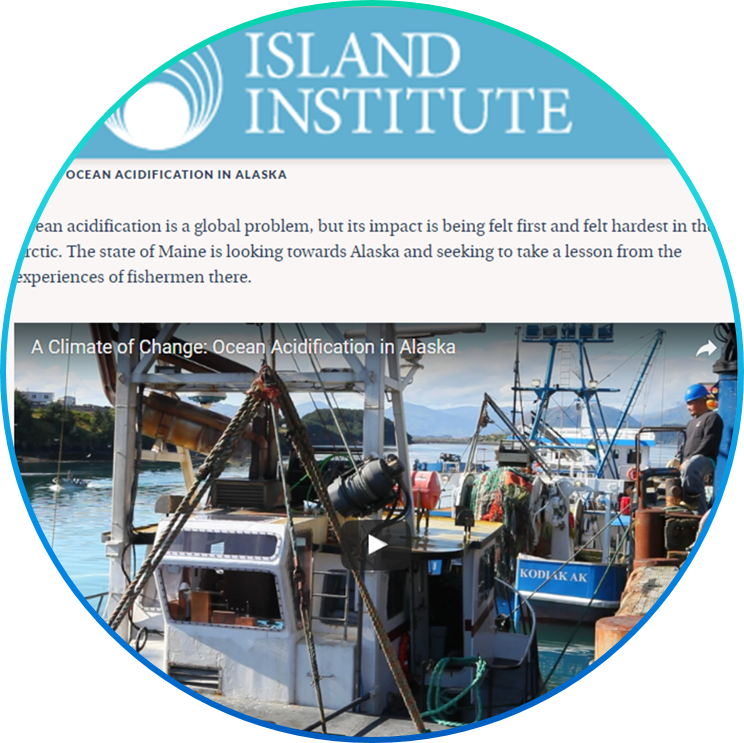 This new webinar series provides ocean acidification communication tools to formal & informal educators, and stakeholders across the country. 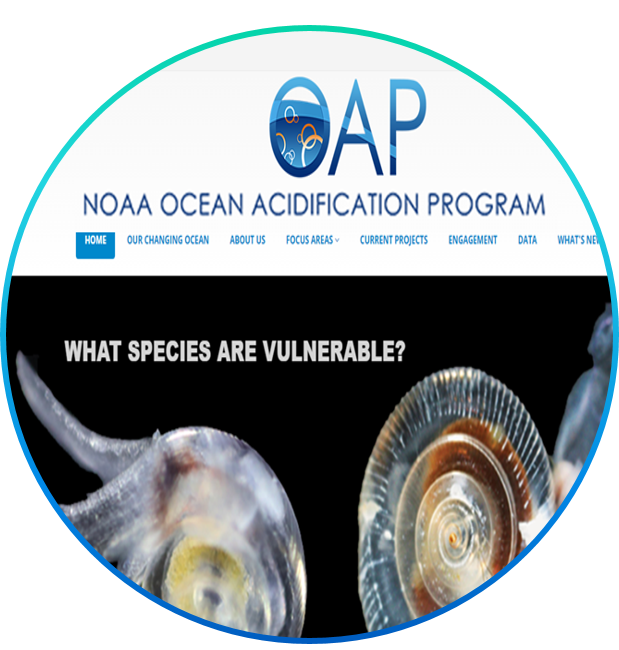 One of its primary goals, is to promote a more integrated and effective ocean acidification education community by sharing ocean acidification education and communication activities virtually. 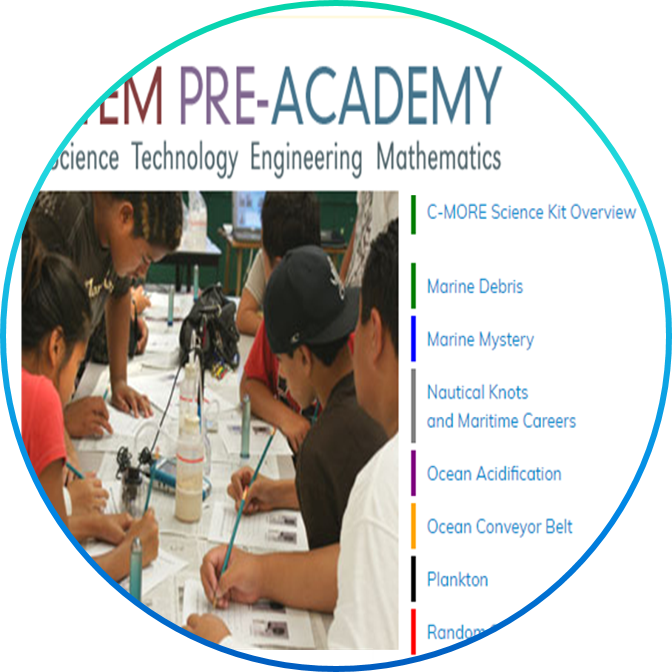 With awareness of and access to these resources, the ocean acidification education and communication community will be able to utilize and continue to create cutting edge communication tools that incorporate current scientific and communication research.